Hugh Farmer: Beads and beading outlets can be found today concentrated in a small area of Sham Shui Po – Yu Chau Street, Ki Lung Street and Pei Ho Street. I don’t know where the shop products are made. Or whether there are still HK companies incorporating beading into clothing or accesssories. 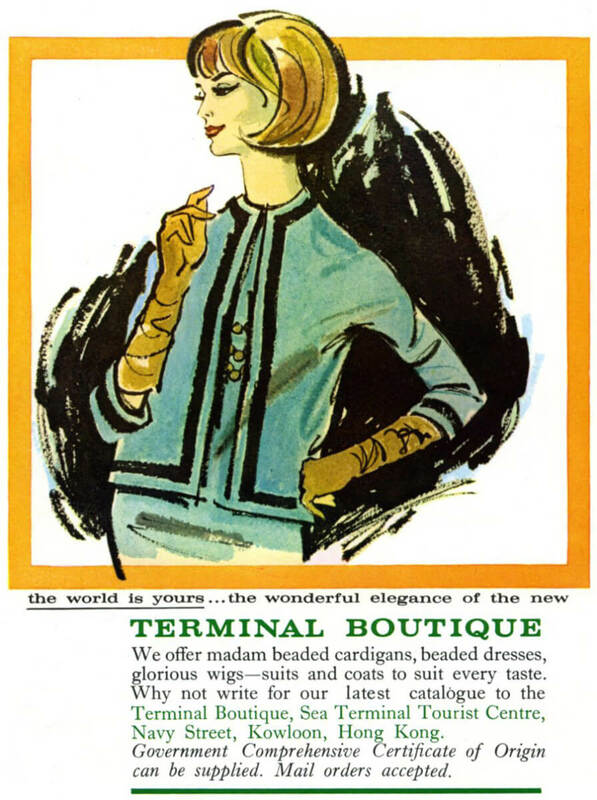 This advert for Terminal Boutique is from 1963 and comes courtesy of IDJ. 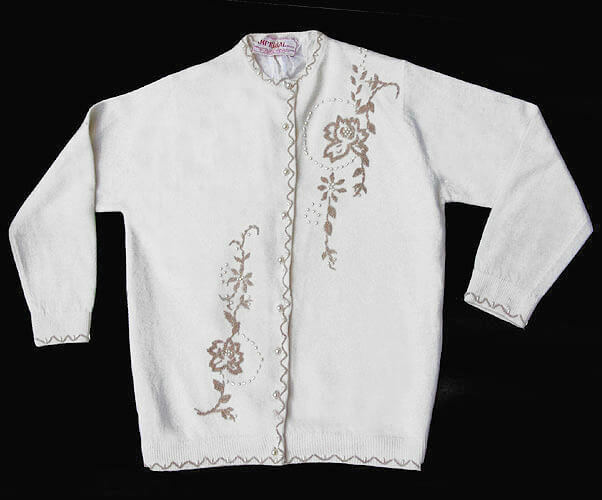 This article was first posted on 9th May 2015.